Are Those “Bad Credit Mortgage Loans with Guaranteed Approval” Really a Good Idea? Purchasing a home is challenging enough as it is. But when your credit score isn’t the best, it can seem nearly impossible. Sometimes it feels as if the only lending choice is one of those “bad credit mortgage loans, guaranteed approval!” programs. But before signing on the dotted line, you may want to reconsider your options. These lenders guarantee approval for a reason, and it isn’t just out of the kindness of their hearts. They take on any loan that they can because they charge much higher interest rates! While you may think that you’re doing yourself a favor, you may wind up getting married to a loan for a long time to come. And the worst thing about it is that most of your payments aren’t even touching the principle. Instead, you need to sign up here for Homes for Heroes affiliate financial experts. They can offer the best advice for your needs. Some lower credit programs advertise loans that begin at standard rates. However, that is likely not the reality. If you happen to fall under the “Fair” or “Poor” credit designations, you could be facing interest rates as high as 5.5%. And that’s before the loan service gets their fees. Someone with a credit score of “Excellent” may qualify for an amount of 4% or even lower, for comparison. While it may not appear like a drastic change, the difference in interest rates soon adds up. Over the course of 30 years, you may be spending thousands more than you would if you had avoided these quick and easy lenders. The extra money you would save could instead get invested or used to improve your home. The duration of a mortgage depends on a few different factors. Chief among them is the credit score of the applicant. The standard mortgage is written for 30 years, although many people qualify for 20 years or even less. However, the opposite is true with lower credit scores. Some people willingly look for 40-year mortgages for slightly less monthly payments. However, this trick only saves them money with higher credit. Those with weaker credit scores could wind up with mortgages lasting as long as 50 years! Who wants to get stuck with a payment for the rest of their lives? Instead, it would be best to speak with a professional financial planner who can work with you to find the best lenders for your needs. You may discover options that you weren’t aware existed. If nothing else, you’ll receive better financial guidance than those who target low credit borrowers. The first step towards a secure financial future is knowing all of your options! Your mortgage payment determines what down payment is required. For example, a 5% mortgage would typically require upfront costs of $5,000. However, when you go through a bad credit guaranteed program, you may have to come up with 20% or more. So not only are you making payments for more extended periods of time, you’re paying more upfront as well. That hardly sounds worth it, especially if it’s a home you aren’t sure you’ll stay in forever. Getting approved for another mortgage with the first one still looming overhead won’t be easy. Some lending programs are expressly for military and veterans, as well as law enforcement and first responders. You may discover one that doesn’t require any down payment at all! There’s immense pressure to buy a home as soon as you possibly can. However, taking the first mortgage offer you get approved for isn’t always the wisest solution. If you believe your only option is to get sucked into a bad credit guaranteed program, you may want to hold off and focus on rebuilding your credit. It may feel like a long time, but it doesn’t take as long as you may think. One bit of good news is that having a bankruptcy on your credit history isn’t the end of the world. Most mortgages are still available after two to four years, depending on the situation. Although it may not be your preferred choice, you may be better off renting. While your payments aren’t going to a mortgage, it at least allows you time to build your credit up. By focusing on paying bills and outstanding balances on time, and chipping in more than the minimum due, it won’t take as long as you think. In a short span of time, creating a positive credit history is possible. Another thing to consider is that lenders also look at how long certain credit types carry a balance. The longer you’ve held an unpaid account, the more skittish lenders become. 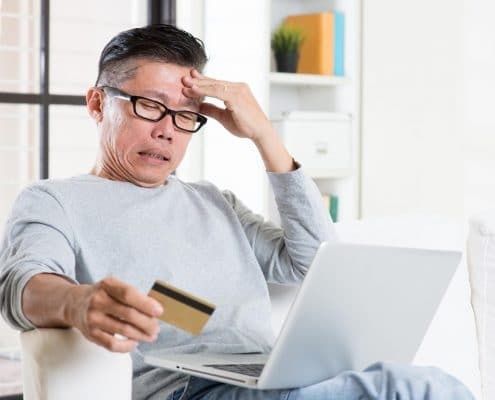 Unfortunately, these may be high ticket items, such as unpaid student loans or that credit card you’ve never entirely paid off. 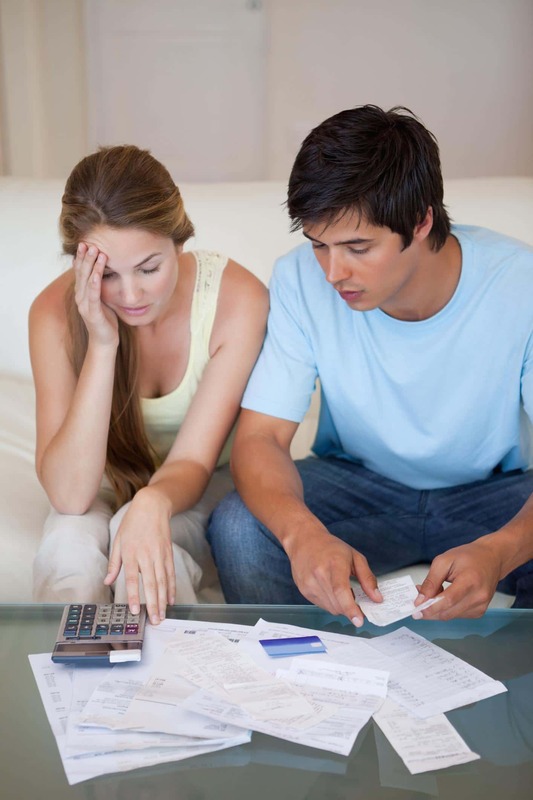 Even if it’s just a small amount borrowed, lingering debts can come back to haunt you. Bad credit guaranteed loan programs may operate under a high-stress sales environment. They may try and get you to take their mortgage because it’s the one on the table at the moment. However, if you know you need help improving your credit and building your savings, the best thing to do is to meet with an advisor. By analyzing your finances today, you can find a personalized path to homeownership that works best for you. If you sign up with the Homes for Heroes local affiliate program, we can pair you with a professional in your area providing the exact service you need. That way, you can access better financial planning for less! Not only can we save you more on all your home buying needs, but you’re allowing your community to give back to our everyday heroes. We have affiliates working as real estate agents, mortgage originators, home inspectors, and more local services. Let our professionals help you with all your housing needs today.